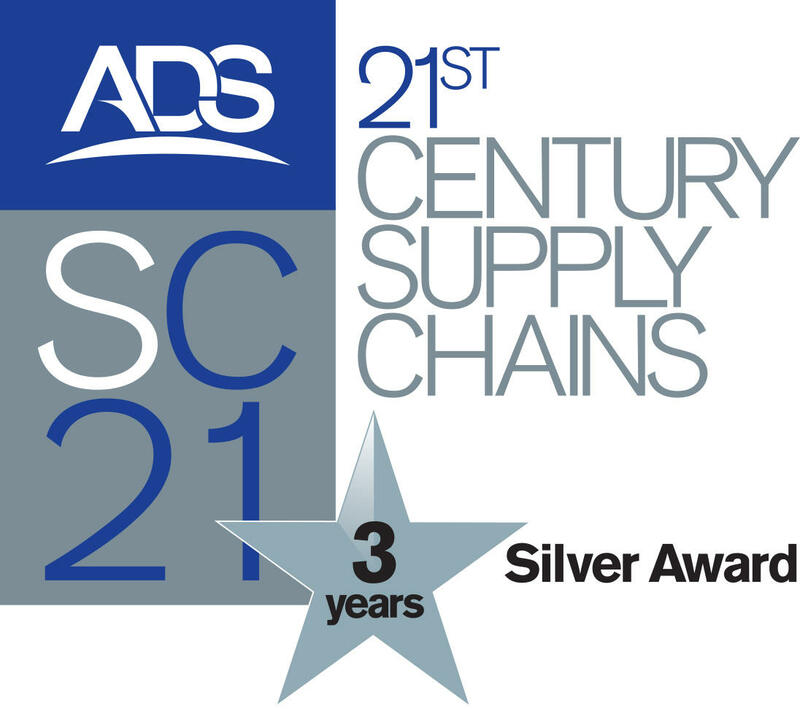 Rockford has been awarded the SC21 silver award for a third year! 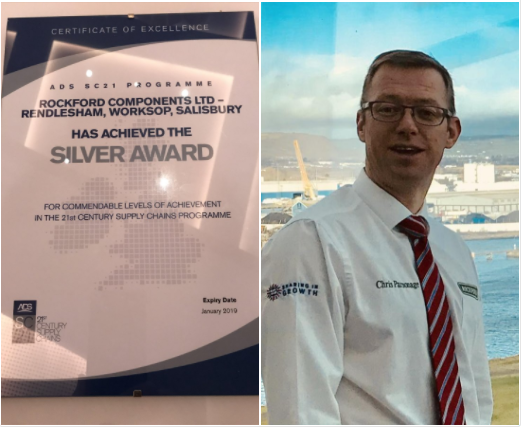 Sales and Marketing Director of Rockford, Chris Parsonage, was present at the awards ceremony in Belfast in early February to receive the honours for the SC21 silver award. 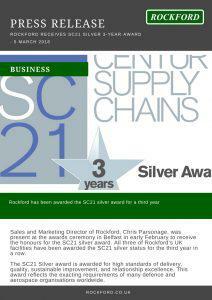 All three of Rockford’s UK facilities have been awarded the SC21 silver status for the third year in a row. The SC21 Silver award is awarded for high standards of delivery, quality, sustainable improvement, and relationship excellence. This award reflects the exacting requirements of many defence and aerospace organisations worldwide. 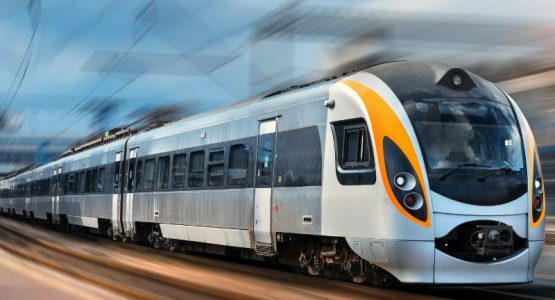 Rockford designs and manufactures high-quality system-level electrical equipment that provides a simplified supply chain for commercial aerospace markets. This is provided from prototype to production and with global on-site support. Supplying manufacturing capacity in cable assemblies, wiring harnesses, looms and electro-mechanical systems, Rockford provides customers with a lean supply chain which is aligned to the customer’s future capacity needs. Rockford couples this with a best-cost and quality approach to component sourcing, and offers a one-stop-shop for all electrical requirements to simplify fragmented supply chains. Rockford designs and manufactures complex cables that provide a competitive and reactive supply chain for industrial markets. Customers receive detailed documentation packages with drawings, they retain the intellectual property for designs, and Rockford supports low to medium volume orders. 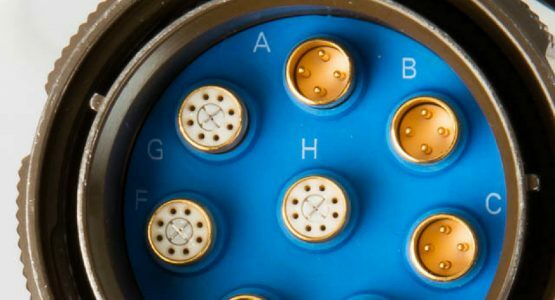 Rockford’s high-performance, environmentally sealed, next-generation, high-speed, flexible cabling mitigates risk for customers. 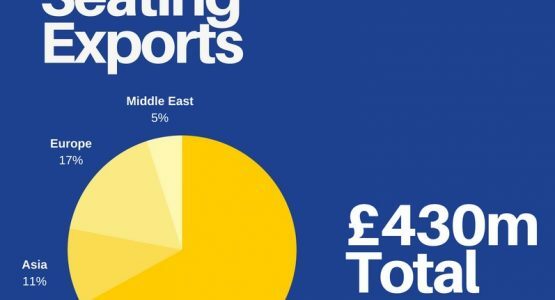 An independent view of the supply chain enables a standardisation of design and results in a significant cost reduction for customers. Rockford can meet defence and aerospace offset requirements and provide engineering and production capacity for rapid prototyping. Call Rockford on 01394 420800 if you’d like to book a meeting with Chris Parsonage.